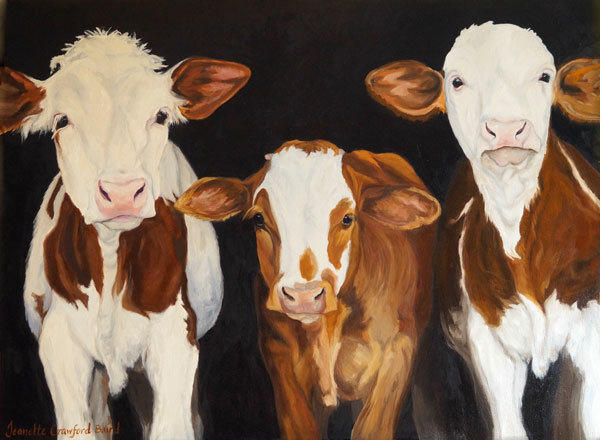 The Bay Area Studio Artist (BASA) will present “The Herd Instinct,” an exhibit of paintings in acrylics and oils, at Orinda Books, 276 Village Square, Orinda, during the month of October. You are invited to a reception from 1:00 to 3:00 p.m. on Saturday, October 6th. “The Herd Instinct” explores the urge to gather with others of your own kind - whether it’s a migrating pod of whales, cows grazing in the pasture or jellyfish just floating through life. We have included everything from a peep of chickens to a mob of sheep to a loveliness of ladybugs. And, we’ve even noticed that inanimate objects seem to have a herd instinct so we’ve included an array of apples. In addition to our BASA artists, Suzun Almquist, Jeanette Crawford Baird, Ellen Reintjes, Joanne Taeuffer, Sharon Tama, and Marcy Wheeler, we are joined by two guest artist, Lassie Colebourn and Ruth Stanton.